The News Agency of Nigeria reports that AIB released its preliminary report on the February 2 Caverton Helicopter crash involving Vice President Yemi Osinbajo in Kabba, Kogi. “Caverton Helicopters Ltd did not conduct site survey of the landing field prior to this flight. “Caverton Helicopters Ltd did not carry out safety and risk assessment of the landing area prior to dispatch of the flight. He said that the investigation was conducted using information gathered from the witness statements, flight recorders, Health and Usage Monitoring System, HUMS; and Data, Flight Data Monitoring. The commissioner said that it also included preliminary inspection of the accident site and the wreckage. He said drug and alcohol test for the crew could not be carried out, but they were properly licensed and adequately rested to operate the flight. According to him, the Captain was the Pilot Flying, and the co-pilot was the Pilot Monitoring; while the take-off, climb out, cruise and approach phases were normal. Olateru said the bureau had, as part of the safety recommendations, directed the Nigerian Civil Aviation Authority to issue an Advisory Circular to all helicopter operators flying in Nigeria to be alert to the possibility and effects of brownout. 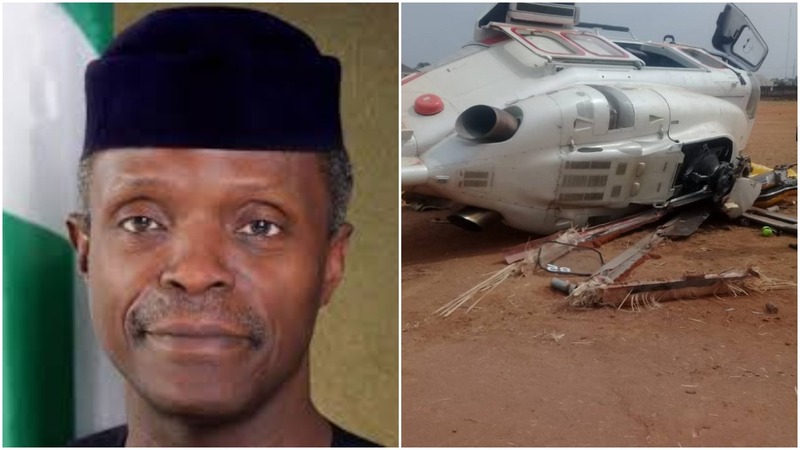 The post AIB Releases Preliminary Report on Osinbajo Helicopter Crash appeared first on LATEST NIGERIAN NEWS BREAKING HEADLINES NEWSPAPERS.